A bug has been found in the recently launched iPhone 4S. According to sources the handset is having a battery draining problem due to the handset’s Location Services features. The ‘time-zone battery bug’ causes the Setting Time Zone function to keep the location tracking mechanism running constantly, draining the battery all the time. One can switch it off but that will just make the iPhone unable to set its own time zone if you happen to travel. This is however an unconfirmed issue and Apple has not yet confirmed about the bug. The company is still in the process of investigating the issue and hopefully will come out with a solution. Some iPhone 4S users say that the handset lasted only a few hours, even when they were not using the handset and its features heavily. Users have also confirmed that even after switching off various services and even the time-zone functions, they are still facing poor battery life. Apple has been a little laid back in the battery department and should pull up its socks and resolve the concerns of Apple fans. 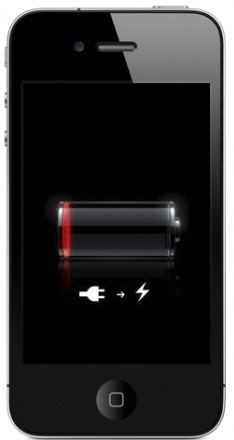 A better battery life can do wonders for the iPhone and other Apple products.